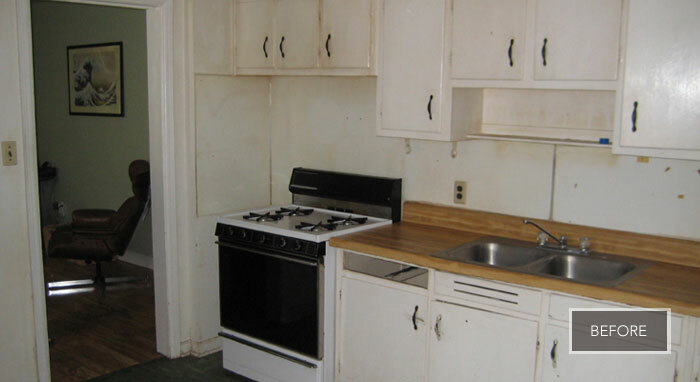 When the couple purchased their older "fixer-upper" home, they could see that it had hidden potential, but nearly every room needed some TLC. The first renovation project to tackle was transforming the outdated and overcrowded kitchen into a light and open space. 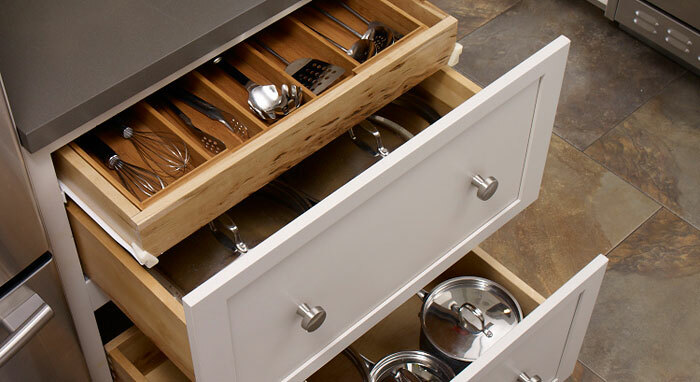 The couple loves to cook and entertain, so two must-have items on their kitchen remodeling list were cabinet storage and more elbow room. Turning to Linn’s Prestige Kitchens and Baths Inc. for help, the renovation project designer created a design tailored to these needs using cabinetry options by Schrock that included extra-deep drawers for storing pots and pans as well as making an efficient prep station with a handy, cabinet-style recycling bin pullout near the sink. The couple chose Schrock's charming Pleasant Hill cabinet door style in a color called Dover, an inviting yet durable painted white finish that has a hint of a cool gray undertone. 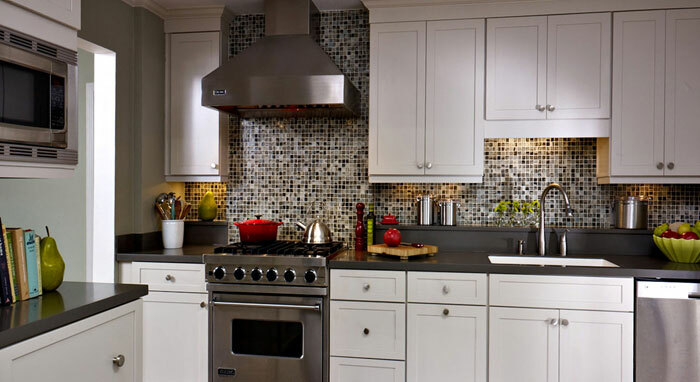 This subtle shade of gray is repeated throughout the kitchen in the stainless steel appliances, dark gray countertops, and sparkling glass-tiled backsplash. The overall effect is an effortlessly gorgeous kitchen, now with plenty of room for the couple to host fun get-togethers and casual dinners with friends and neighbors. 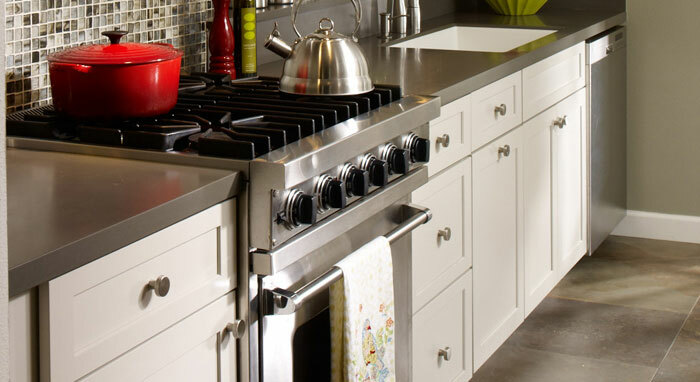 Linn's Prestige Kitchen & Baths Inc.